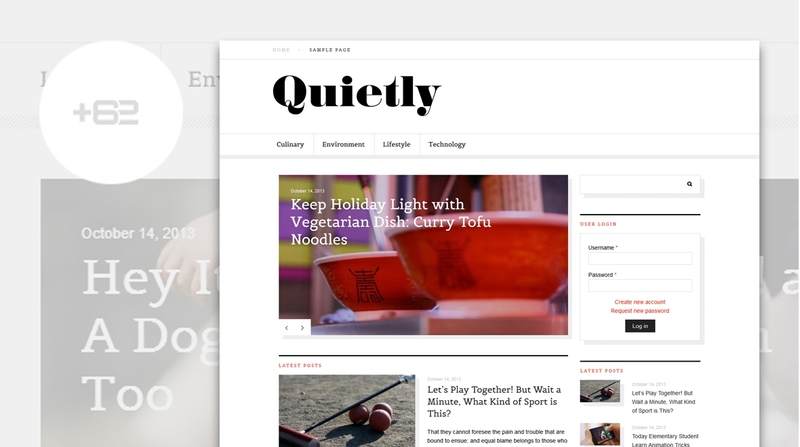 Quietly is a nice Drupal theme for News site, Magazine site or simply just blogging, neat designed, well coded and more importantly easy to use. We give the best support to our customer, our office hour is Monday to Friday from 8.00 AM – 4PM (GMT +7 , or West Indonesian time) but we try our best to answering any question even it's outside our office hour. We provide support via this item's comment page on Mojo Marketplace, or message service on Mojo Marketplace or also via email at contact@plus62.me, buzz at twitter @anggunpribadi.